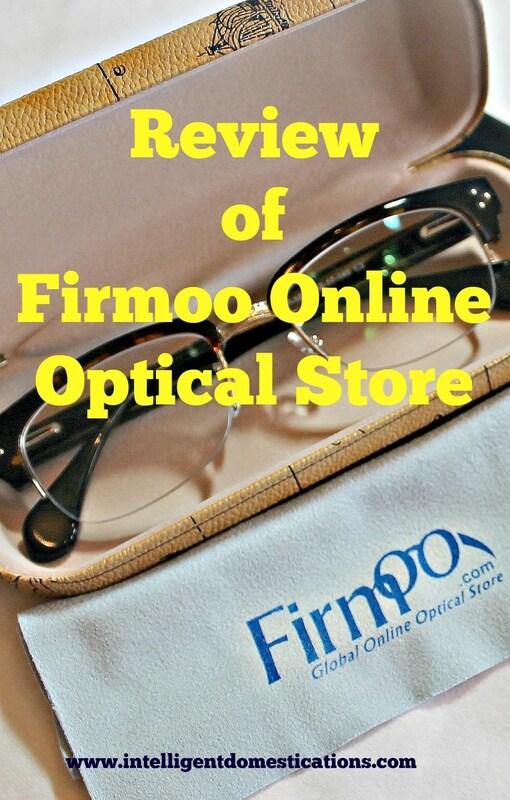 I was quite excited when contacted by a representative from Firmoo to do a Firmoo Eyeglasses Review for you! My husband and I both wear glasses so we are of course interested in trying a product which suits our needs and fits our budget at the same time! 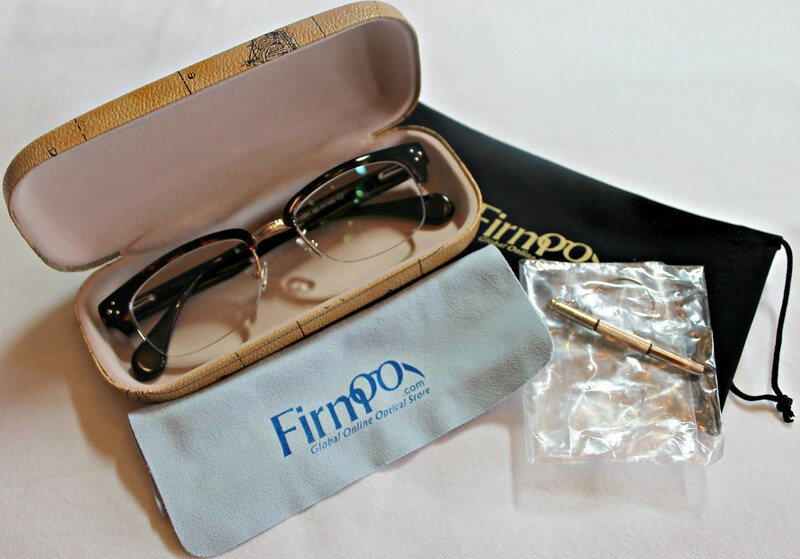 While I was provided with one free pair of prescription glasses from Firmoo, the opinion here is my own. The online ordering process is not difficult at all. There are some things you will need to know before ordering prescription eyeglasses online. Firmoo walks you gracefully through this process on their How to order page. If you are ordering prescription glasses, have your prescription handy. Don’t worry about how to read the prescription, they have that covered in their ordering process. A friend to read the ruler. A friend with a ruler is all you need to get your PD (Pupillary Distance). They use a little gadget at the local eyeglass store for this step in the process but a ruler will do the trick. My husband did my measurement. When my glasses arrived, they fit perfectly. You will be able to upload a photo so that you can ‘try on’ the glasses. The above photo is a screenshot of my try on page. What do you think? Should I get that pair? Look at the price, so affordable! After you pick out your glasses, you simply complete the order process as with any online purchase. My glasses arrived in less than a week from the time I placed my order. They were well packaged and came with everything you see in the first picture at the top of this page; glasses, glass case, lens cloth, carrying bag and a small screwdriver. and would definitely order from them again. Firmoo is offering a nice deal right now for 1/2 price when you buy your first pair! Go HERE to get that deal. Thanks for sharing this review on Twitter! I had a great experience with Firmoo as well! My only complaint was in choosing sizing…based on my prescription from my optometrist, it appeared like the smallest size for the bridge of my nose as offered by Firmoo was STILL not small enough for mine – which was so weird to me! But I love my glasses, and I think their service is awesome. Erica, the glasses I got from Firmoo fit better than the pair I got from the local (expensive) eye glasses store. I would definitely buy from Firmoo again. Thanks for sharing with us. It seems as if they’ve thought of everything to ensure the customer gets a perfect fit! I agree Liz. It was a pleasant shopping experience for me. I plan to shop with Firmoo again. No need for glasses since I got lasik surgery years ago. But our 5 year old son wears glasses and they’re so expensive. Firmoo has a lot of affordable options. Are they based in China. I have a friend who ordered her glasses online and they fit perfectly. I tried to do it once but my measurements did not turn out so well so I did not order! Yours fit perfectly for real and you earned a free pair..Yea! Love that you can virtually try on the glasses! They look great. I love the price too. You can’t beat that deal. The best part is they are delivered to your door so you don’t have to leave your house to get new glasses. Great review! My toddler loves to play with my glasses so I know it’s only a matter of time before I need new ones. I had a bad experience purchasing from another online eyeglass distributor. However, with your review, I like I would try again. Thanks for sharing, very informative! I have been wearing glasses since I was 15 years old, so I am happy to find another amazing place to order glasses from. I really like that you can try different frames virtually, so you can make an inform decision. Thank you for sharing your review with us. The virtual try on feature is really awesome. Don’t forget to check out the half price offer. Thank you for sharing! It is always good to know yet another great place to shop online! I really like it that you can upload a picture and try on glasses virtually. I enjoyed trying the glasses on virtually. I don’t enjoy shopping for glasses so the virtual experience was actually much easier for me than going to the store. Be sure to check into that half price offer! 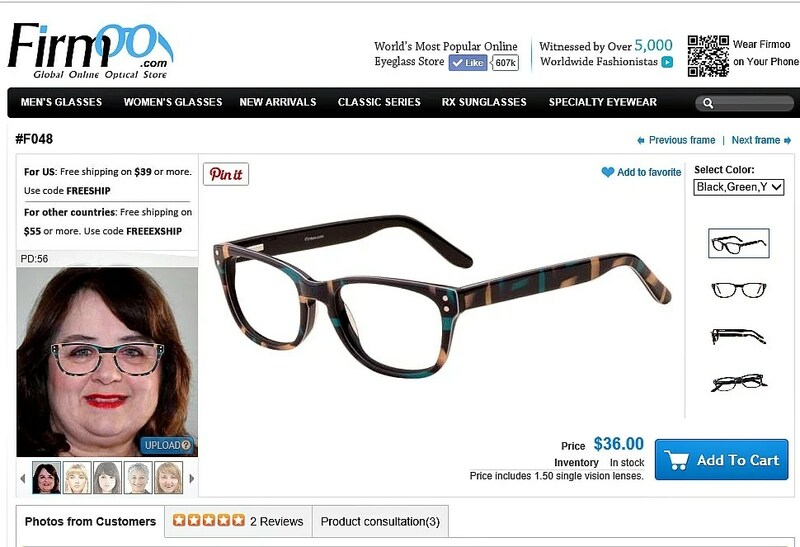 I think it’s so great that just about everything can be done online now, including ordering eye glasses. I never wore glasses until I turned the big 5-0 and had to get a pair of readers. I don’t need a prescription, but if I did I would definitely order from this company. It’s so cool that you can upload a picture and try on glasses virtually. I love this!! Alli, they have Readers and Computer glasses too. Be sure to go check them out. I’m with you. I love shopping online! I am getting new glasses soon so this is helpful. The timing was great for us because we were due new glasses. We will definitely shop with Firmoo again. Shirley, I love the review. I am always leery of ordering glasses online, as somehow the PD readings are off. Luckily, my ophthalmologist will still adjust any and all frames brought in without charge! Those frames are quite stylish, and might I suggest that when you order next time, try a red frame; it would bring out the peach tones in your skin diva! Have an awesome weekend! Post shared! I think most opticians or ophthalmologist offices will do the PD reading at no charge. Actually, I ordered a new pair from my Doc’s office which had to be returned as they were too small and they used the little gizmo for measuring! Thanks for the tip on wearing red. I may get a pair! Love those fun colors! I need new glasses this comes very handy thanks for the great review! I hope you will enjoy your shopping experience with Firmoo as we did. We’ve bought eyeglasses online before and were very happy with them. They worked great, looked good and the price was right. I’ll have to check out t heir frames, I need a new pair. You cannot beat the price, that is for certain. It is an added bonus that the glasses are a good quality with a good fit too! Be sure to check out that 1/2 price offer!